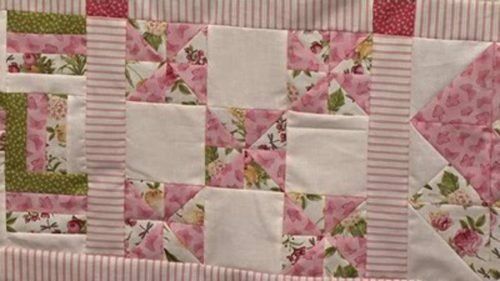 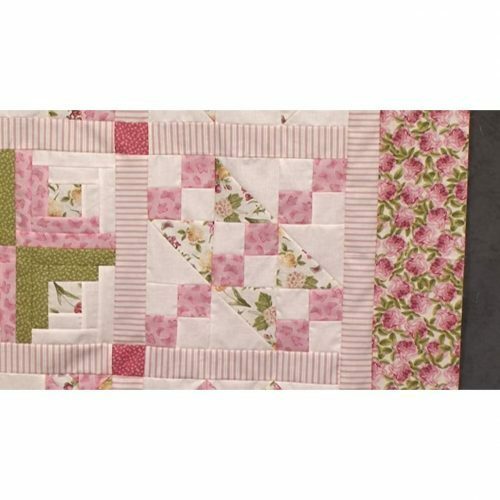 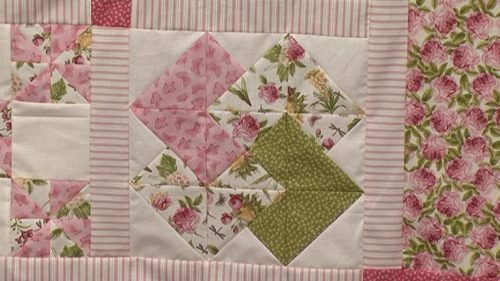 This particular block works well on its own – just look at the one Valerie made. Delectable Mountains in a traditional piece of patchwork that has come of age with the help of the rotary cutter; simple Half square triangle units which are then sub-cut to form your mountains. 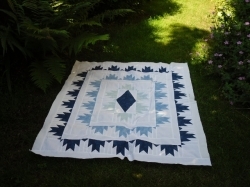 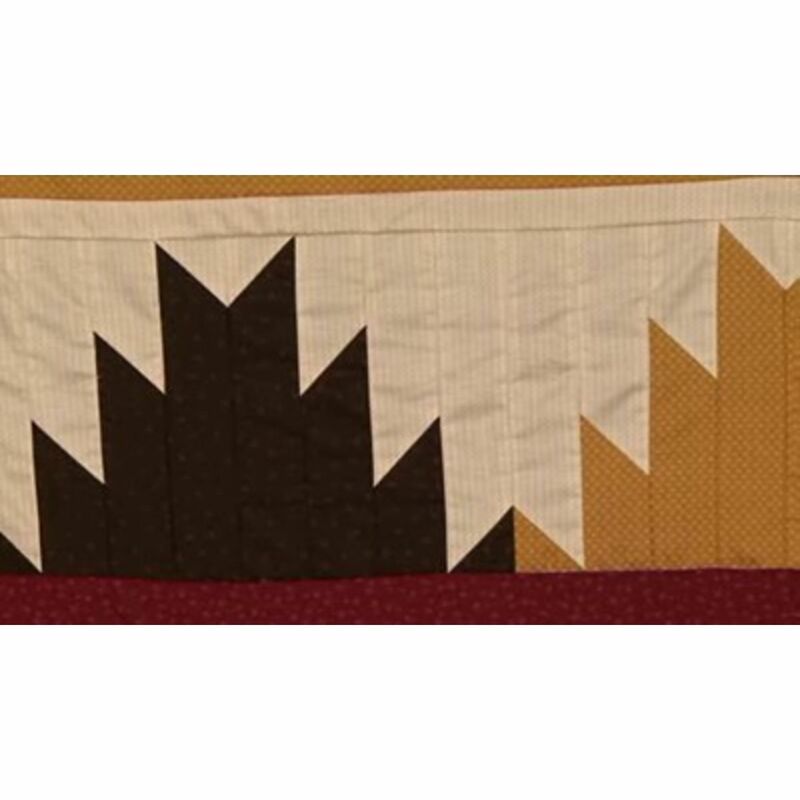 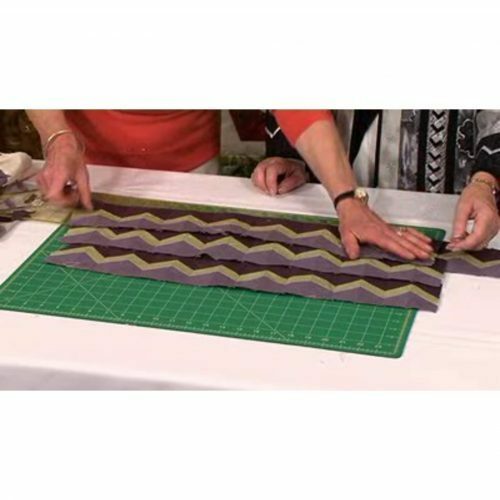 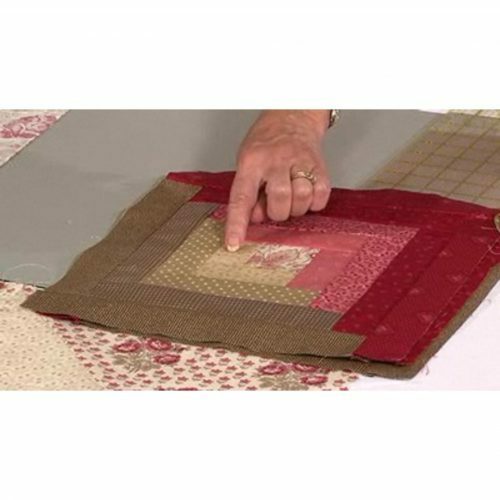 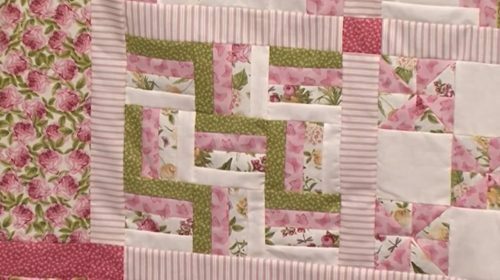 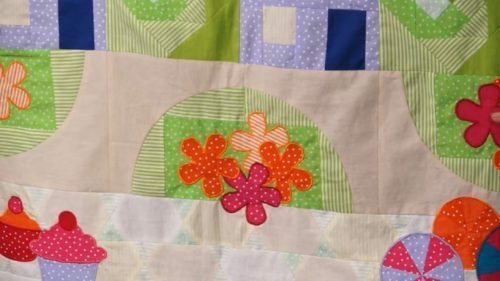 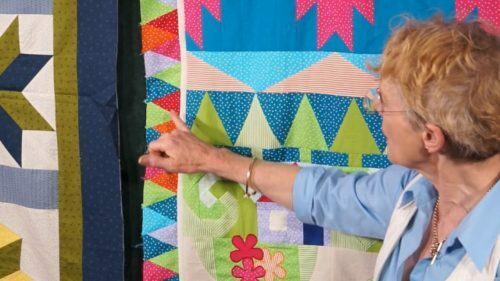 Jennie takes you through making the mountains; some alternative design options, and how to make your medallion quilt fit this border.